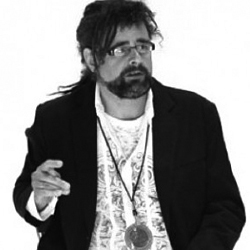 Jon Felix was born in the UK and started his career, of over 30 years as a film editor at the BBC. Later he went on to edit spots, TV shows and feature films. During the 1980’s Jon founded London-based production company Paw Print (still running) and directed and shot TV shows, music videos and commercials. As a Director of Photography, Jon has shot 8 feature length films, dozens of documentaries for TV, and hundreds of commercials. In addition to more than 25 awards at festivals around the world, his work includes two films nominated for British Academy awards (BAFTA’s): “Breath of Life” and “One Night Stand”. Commercial credits includes British Petroleum, British Airways, British Telecom, Ford, Genentech, Harley Davidson, HP, Landrover, Pepsi, Procter & Gamble, Sony, Toyota and Visa. In 2002, Jon started working in the US (whilst maintaining a London office) and co-founded Los Angeles post-production company: Digit. He is an acknowledged expert in the field of digital cinematography, workflows and post-production, regularly contributes to professional publications, and is frequently invited to present seminars on digital cinematography using the new DSLR cameras. Jon is currently in production directing and shooting a feature film: “The Other Dog” starring veteran British star, Derrick O’Connor (“Lethal Weapon 2”, “Daredevil”, “End of Days”).